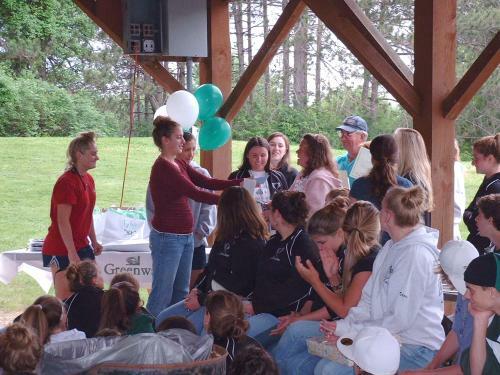 The Green Wave Dover High School girls Lacrosse team had their awards presented to them jointly with the boys team at the Guppy Park here in Dover Thursday evening. 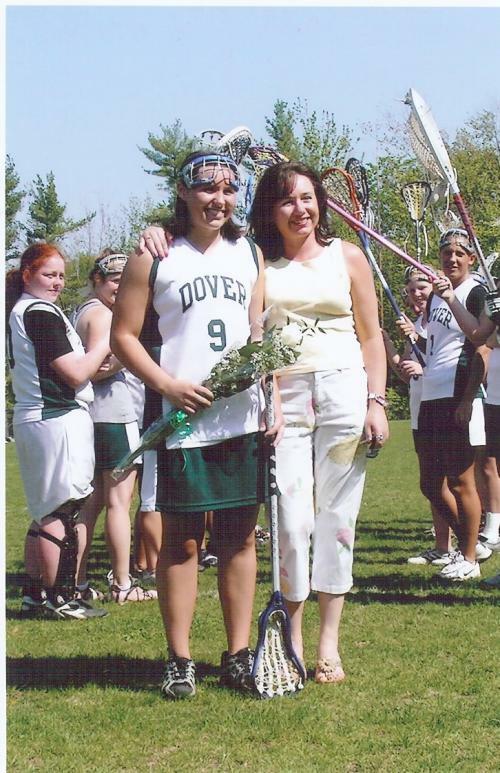 Along with Marissa being recognized as one of the highest ever scorers on the tean and achieving an amazing 55 goals for the 2007 season, she was voted MVP - Most Valuable Player. 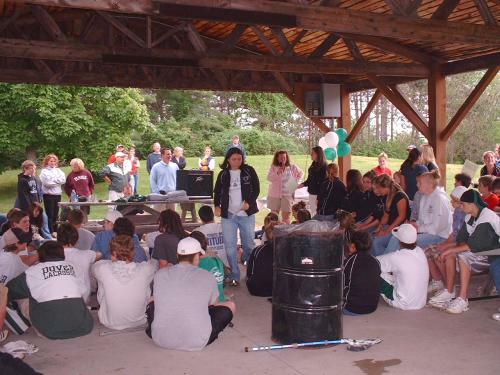 There are a few pictures from Marissa's game last Wednesday below, as well as a group of shots of Marissa's team's Lacrosse Awards Picnic. Though the rain stopped for the afternoon, a chilly wind blew across the park. 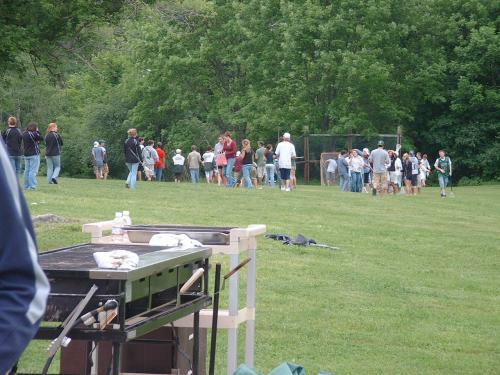 No one seemed to mind, though, as we all feasted on hamburgers, munchies, and treats and milled around the picnic area listening to all the chatter. It was a great turnout with everyone's parents and grandparents and friends celebrating a fun year of competition. Before the awards ceremony got started, a bunch of the players - both guys and gals - paired up into several teams and spread out across the field. They did get a little carried away and played longer than I think they were supposed to as the ceremony itself didn't get started until almost 6:30pm - and it had started at 5:00pm! But it was great to see everyone having such a good time. 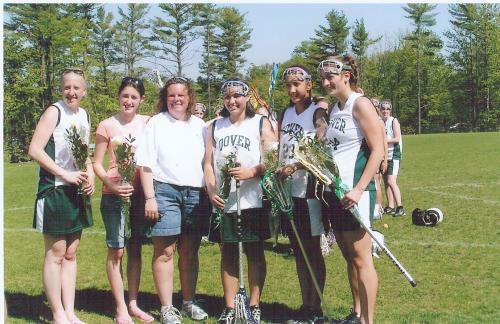 Marissa standing next to Coach Riggs with other members of the Dover High School Green Wave girls Lacrosse team at last Wednesday's game where she scored her 55th goal of the season. 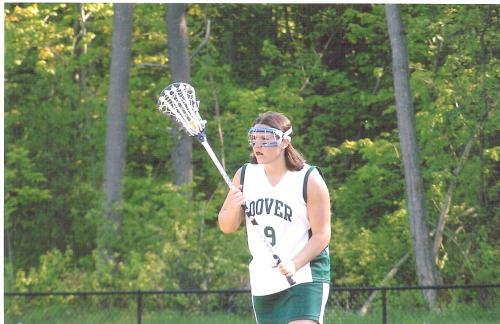 Marissa setting up for a shot at last Wednesday's game. Marissa with Pat at last Wednesday's game. 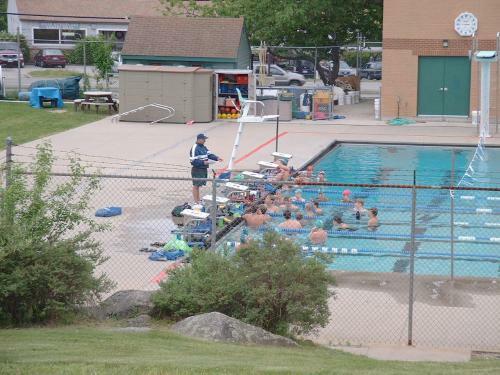 I took this shot down at the swim team practicing in the Dover outdoor pool at Guppy Park. We all agreed that was a pretty hearty bunch as the wind was quite chilly from the last couple of days rains. 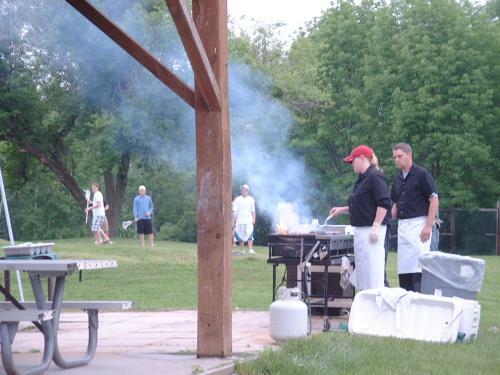 When I got to the park at 5:00pm, the cooks had already fired up the grills and were starting to cook. 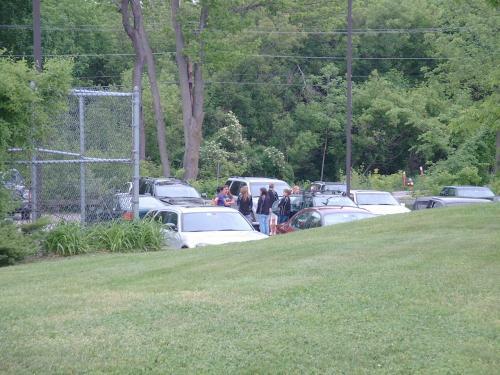 Marissa (in the center) with other members of her team gathering to make their entrance to the picnic. Mixed games between the boys and girls teams sprang up all around the park. 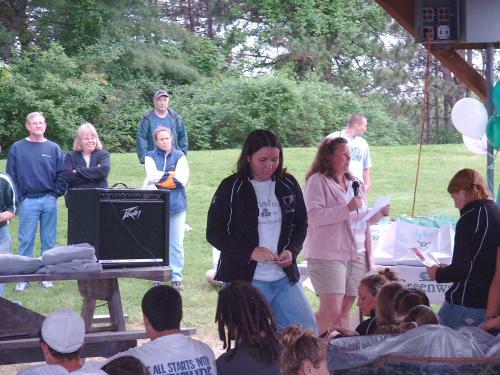 Marissa getting one of her awards. 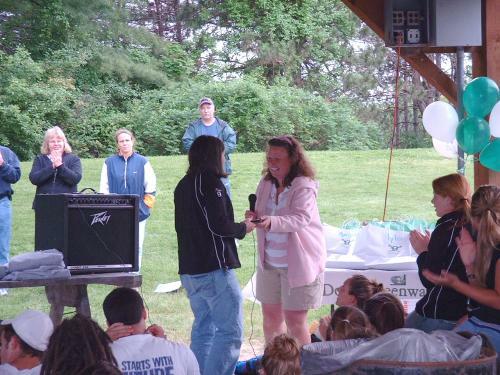 Marissa receiving her Most Valuable Player award. 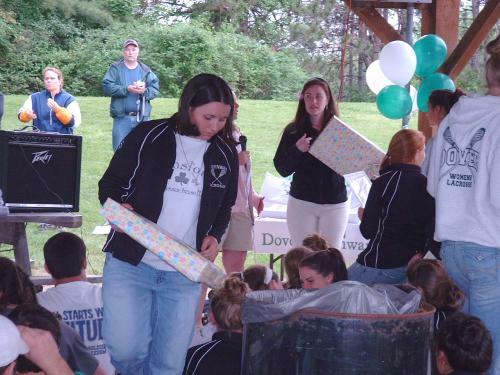 On the trek back through the crowd as the 2007 season's MVP! Marissa returning with her senior present from the coaches. Marissa with other members of the team presenting Coach Riggs with their appreciation gift.